“Add Grapefruit!” exclaimed one of our bartenders. So we did. And you get to enjoy. 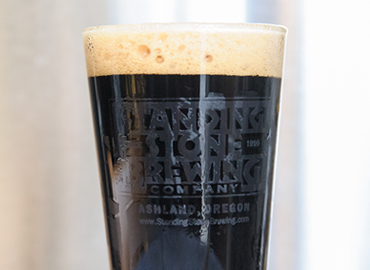 A robust Porter with strong notes of coffee, dark chocolate and smokey malts. Full-bodied, with a silky smooth mouthfeel. Brewed by over 100 different craft breweries around the country in honor of American Craft Beer Week 2016. 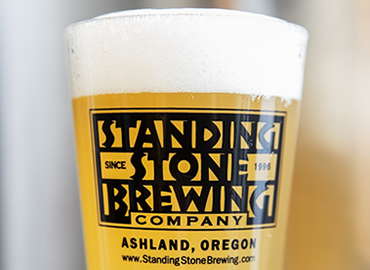 The Oak Street Wheat makes it’s debut at Standing Stone as our first wheat ale of the season. 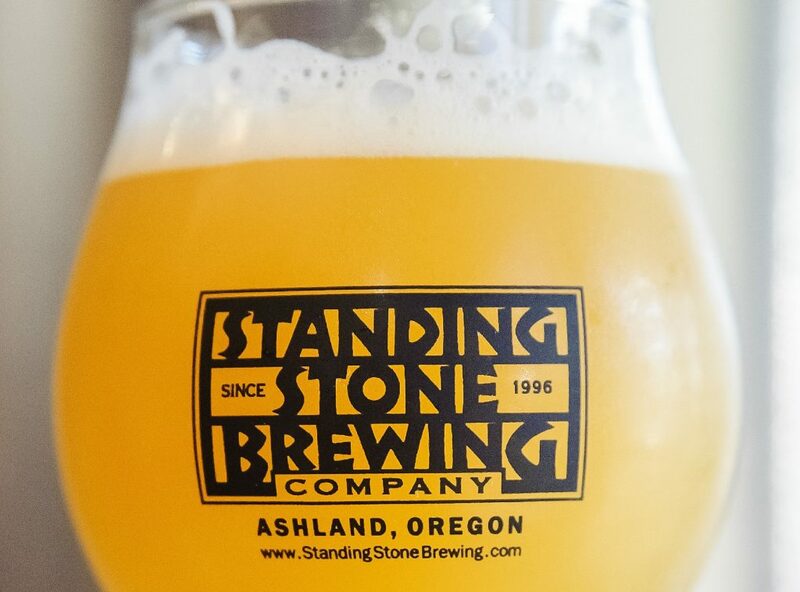 This Wheat Pale Ale is hazy golden in color, and light bodied in mouth feel with a slightly tart, fruity taste. 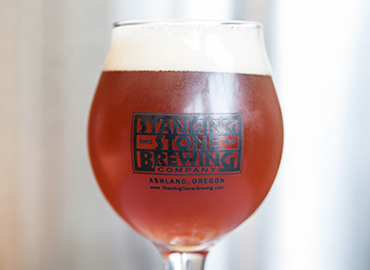 Brewed with a brand new hop varietal, “Belma” from Yakima Valley, this brew has a crisp bitterness and smooth wheat finish. This juicy IPA is a tropical hop bomb. It’s smooth mouthfeel and lingering bitter finish makes it thirst quenching yet extremely difficult to put down. Medium bodied with aromas of guava, citrus and passionfruit. Brewed with Sacchra 50 Carmel Malt and dry hopped with Citra hops, this IPA will cause your taste buds to sing in harmony. This refreshing wheat beer has hit taps just in time for the summer! 61 lbs. 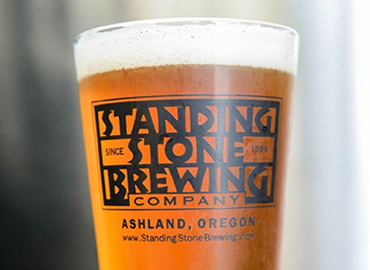 of ripe blackberries from Standing Stone’s One Mile Farm give this ale a mild and fruity tartness, balanced perfectly by Organic Magnum hops and warm, malt flavor. This microbrew is golden and medium bodied with a slightly sweet aroma. The 350 in its name refers to the use of extra malt, 350 pounds in total, adding a bit of extra sweetness and body. It pleases the palate, offering a tart and bready flavor with a balancing mild bitterness. Our 2011 blend is reddish brown and full boded. It offers aromas of toffee swirl with vinous, prune and raisin-like flavors. This beer will warm your heart, not to mention your soul, with its big malt flavors. Best enjoyed at a cellar temperature of 50 F.
Full Bodied, English-style Barley Wine. This Seasonal Favorite Boasts Aromas of Oak and a Palate of Toffee with a Rich Maltiness. This German lager features rich, warm tones of reddish brown. It offers a medium to full body, making it perfect to take the chill off of late winter weather. As you sip, you’ll enjoy layers of malty sweet aroma and flavor reminiscent of warm bread pudding. A brand new brew to Standing Stone! This ale was brewed with Ahtanum hops to impart herbal, green tea aroma. 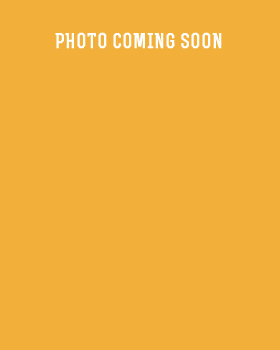 Orange color and medium body with mild bitterness. Munich-style Helles lager is pale gold with a lightly toasted aroma. The slight, sweet maltiness and bright, crisp finish make it a great pair with lighter foods.